A remote control for many of our home appliances, have made our life easier. If remote controllers weren’t invented, the way of our home entertainment or air conditioning would have been totally different by now. They have become the reason for human race’s obesity as well. However, we would keep the negative sides aside for now. IR blasters are an optional device that is being equipped in many smartphones these days. They just sit on top and are barely noticeable until you know it’s there. 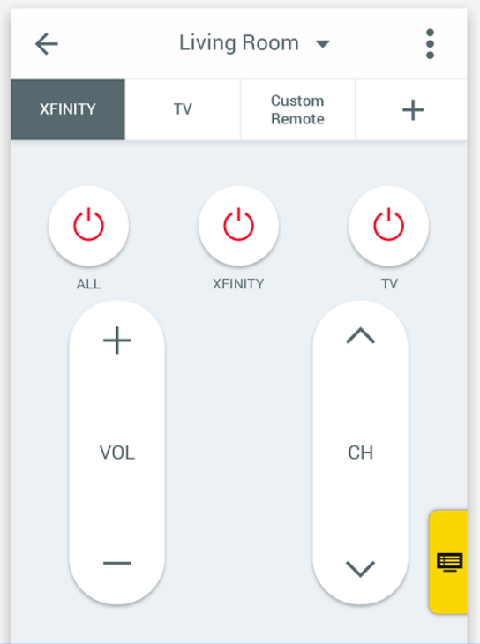 With the help of a smart remote app, they can replace all the remotes in your household. Peel is a smart remote app, designed basically for the Samsung devices with an IR blaster. Peel smart remote requires internet connection to initiate. The app asks the user to select the region and a DTH provider, basically to set up a TV guide. This part in the set up can’t be skipped, however, can be filled up with redundant data since this won’t affect the performance. A TV guide will show up on the home screen after you are done with the initial setup. Later on, while choosing a television, the popular brand names will pop up along with some model suggestions. You should be able to find your TV model in the list. Afterwards, two large power buttons will be shown which tests whether the TV works with them. The setup will be done after few easy guide-through. A user can setup different rooms and add different devices like TVs, ACs, home theatre systems, sound systems, DTH or DVR etc. players in them. The basic procedure for setting up a device is similar. Later on, upon accessing the Peel Smart Remote app, there will be a drop down list on top which lists all the devices a user has set up. The remote layout on the screen will change according to the device selected on the list. The remote illustrates a real remote and the users will find operating it pretty easy. Logging into the remote with a Samsung account could save all these functions for later references. The app however requires a device with IR blaster equipped. With a Samsung device and this app, your life is definitely going to be easier.